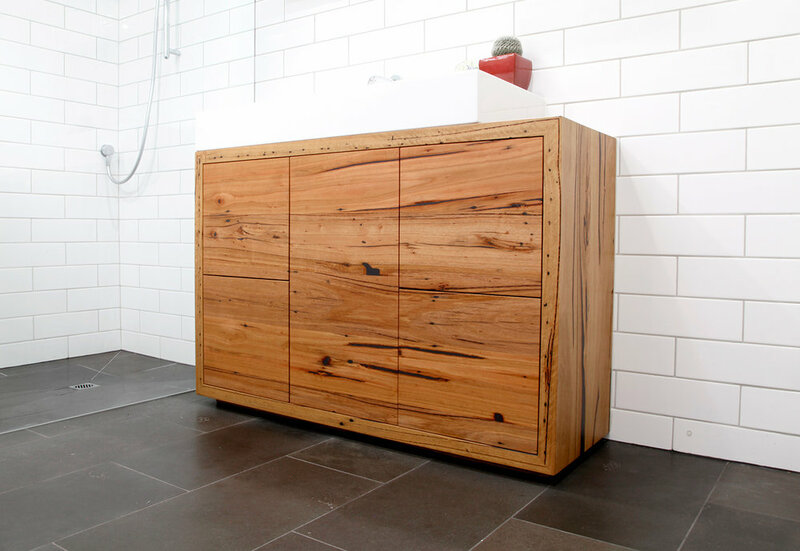 This freestanding timber vanity with its recycled Messmate charm will be the stand-out piece of your bathroom. Full of eye catching rich tones and character, this Australian hardwood is durable and visually balances the harder surfaces of a bathroom environment. Boasting maximum storage, the pictured configuration is made up of 2 outer panels with 2 drawers each and the central panel with a cupboard, perfectly hiding the plumbing without compromising storage space. Each timber vanity is designed and made to your dimensions and configuration to ensure the perfect fit for your space, plumbing and storage needs. 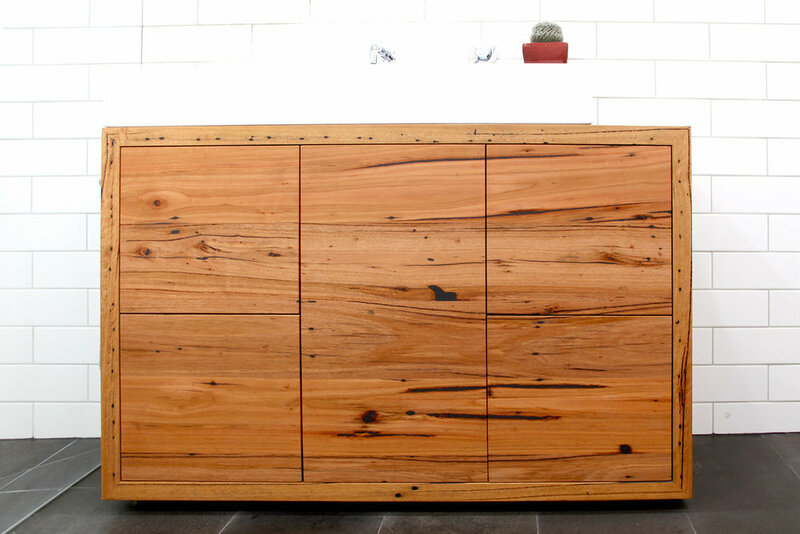 Our vanities are finished with high performance Osmo natural oil and wax which nourishes the timber and protects it from moisture. 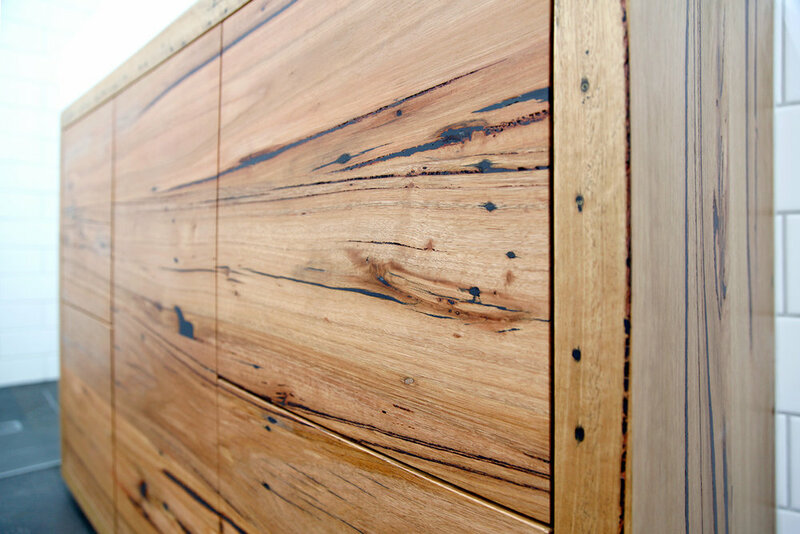 The material options for the internal structures, shelves and drawer boxes are Melamine, Birch Ply or solid hardwood timber. To find out what makes a Bombora vanity so special, click on the link!